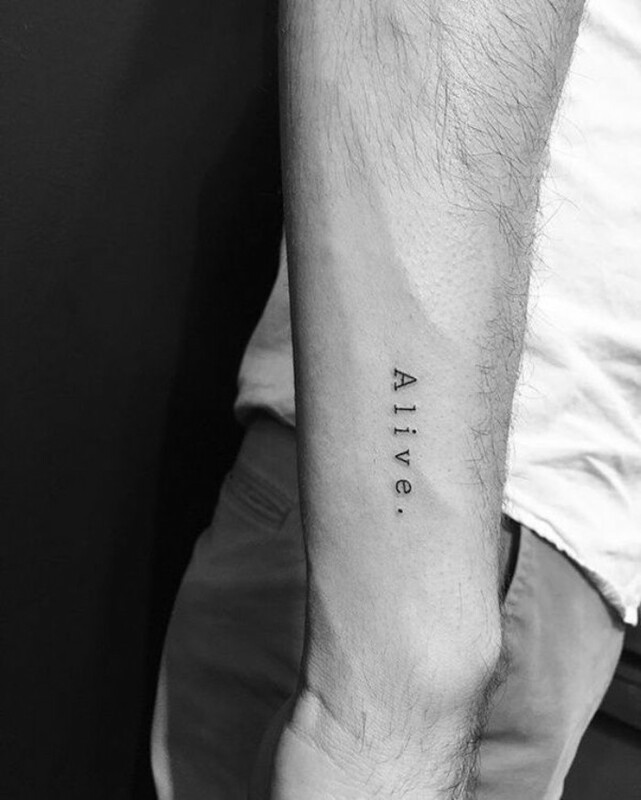 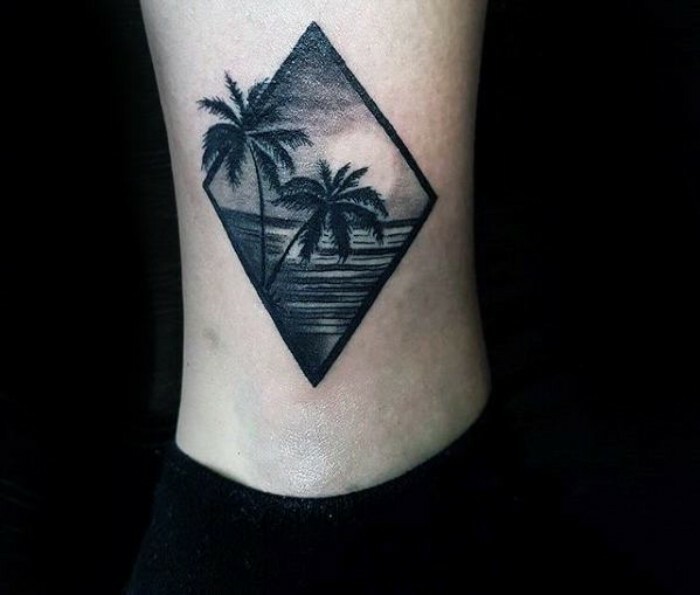 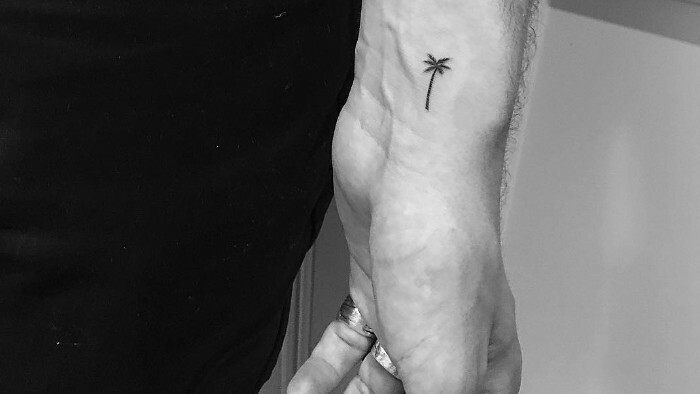 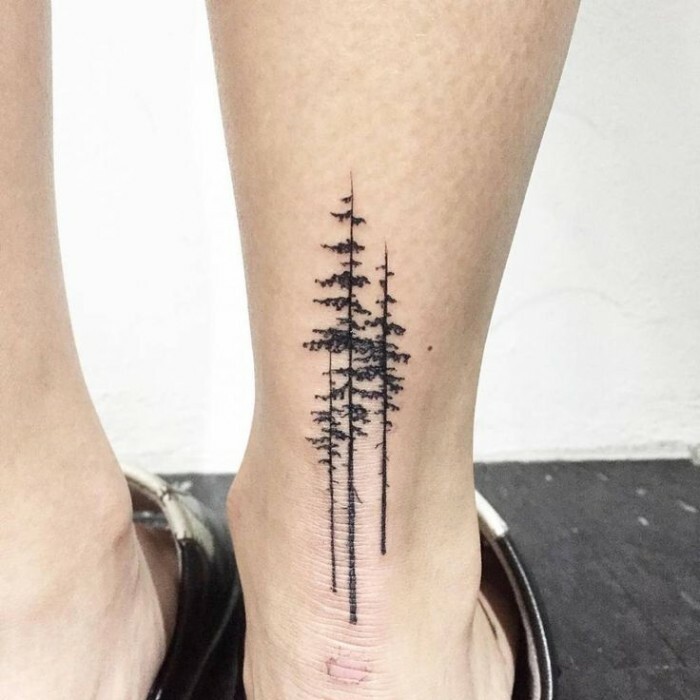 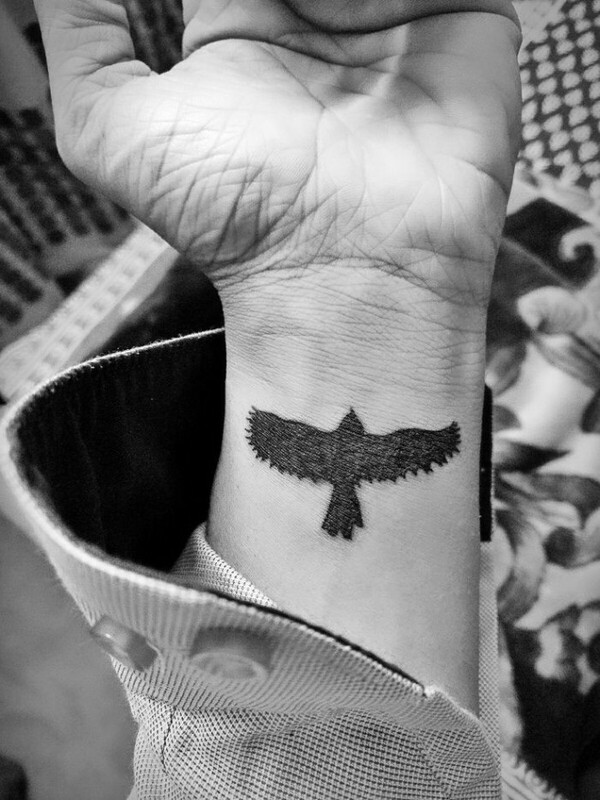 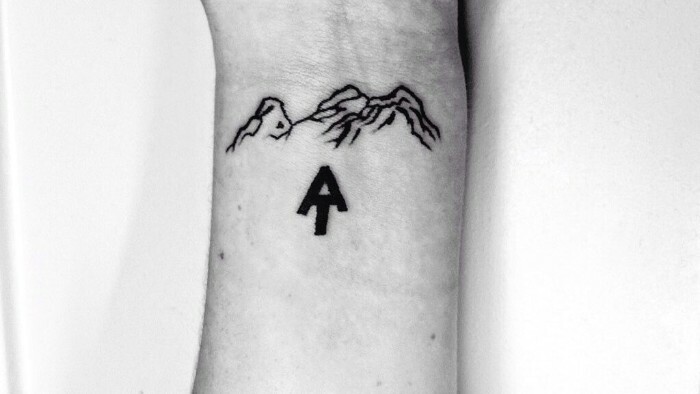 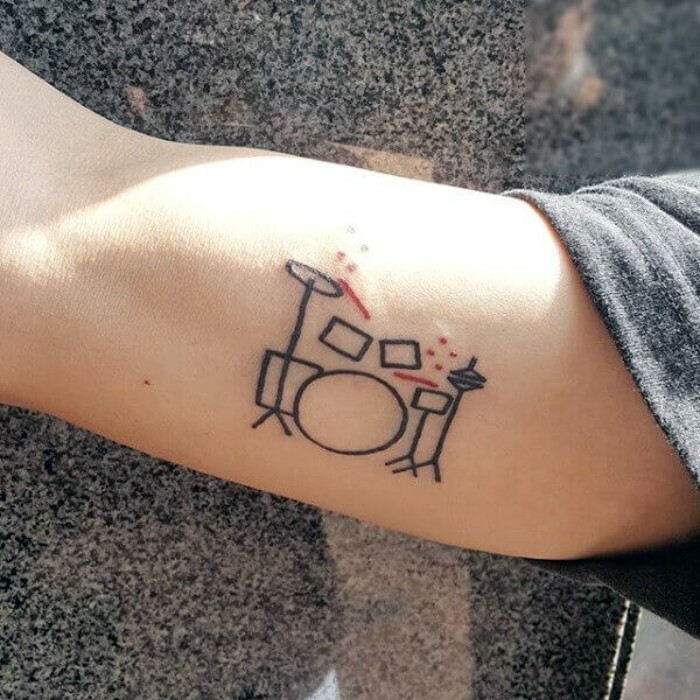 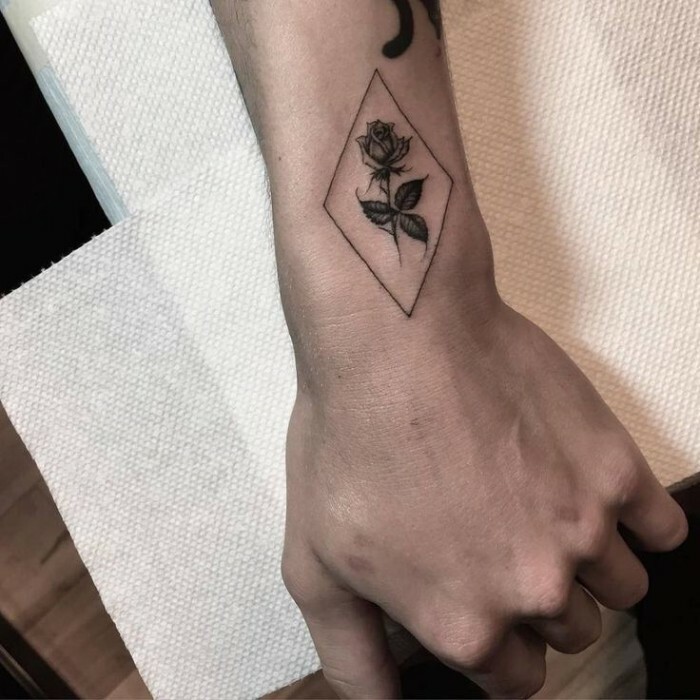 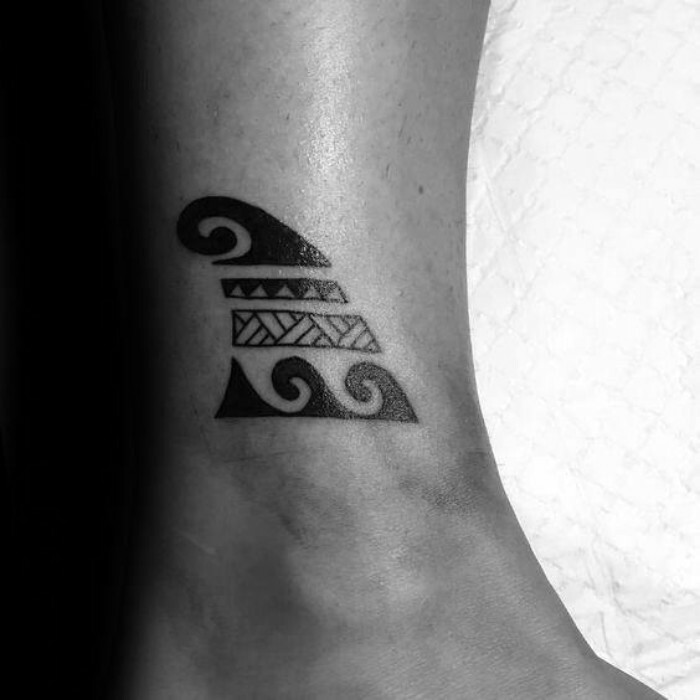 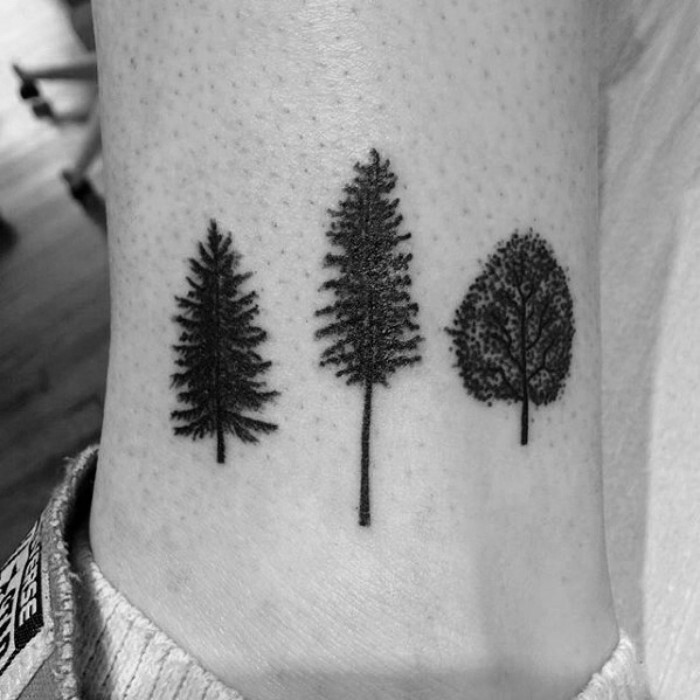 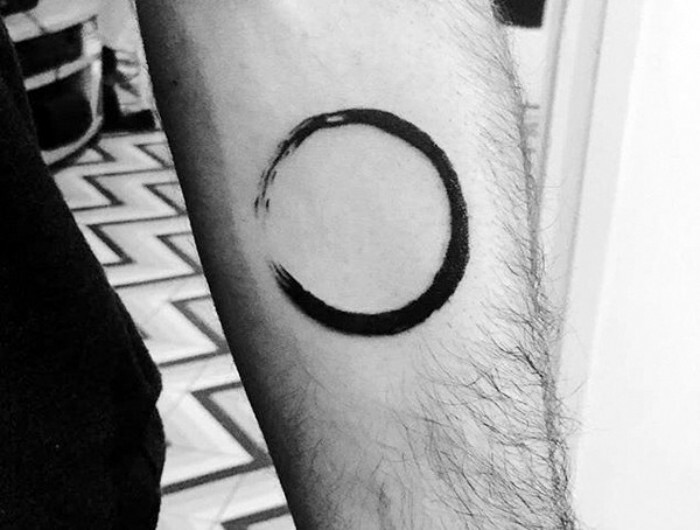 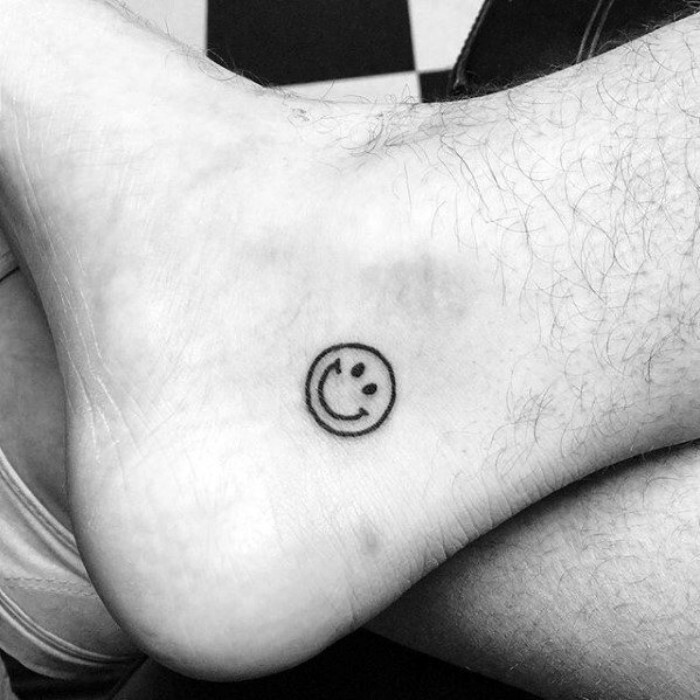 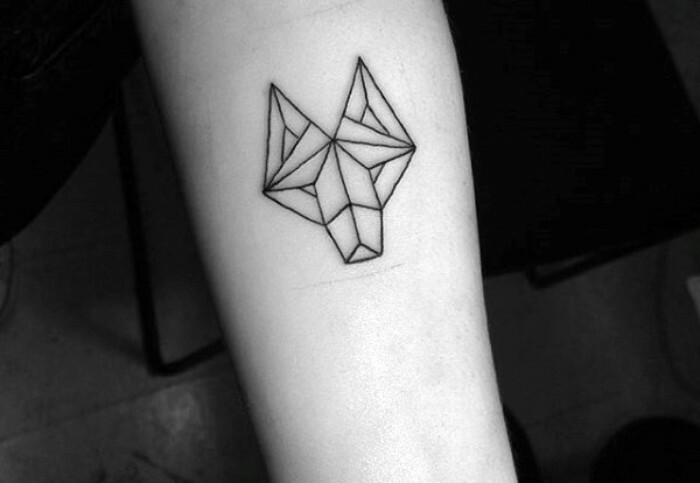 Small, minimalist tattoos are all the rage at the moment, and it’s hardly surprising – they are easy to cover up, which makes them perfect anyone, even working professionals. 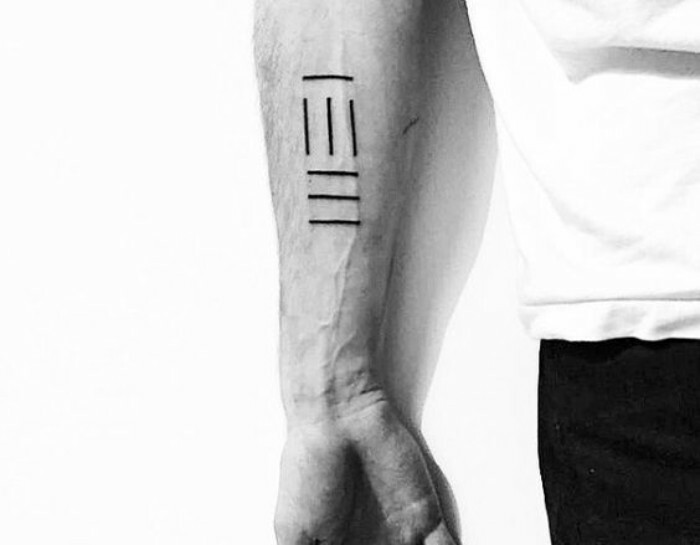 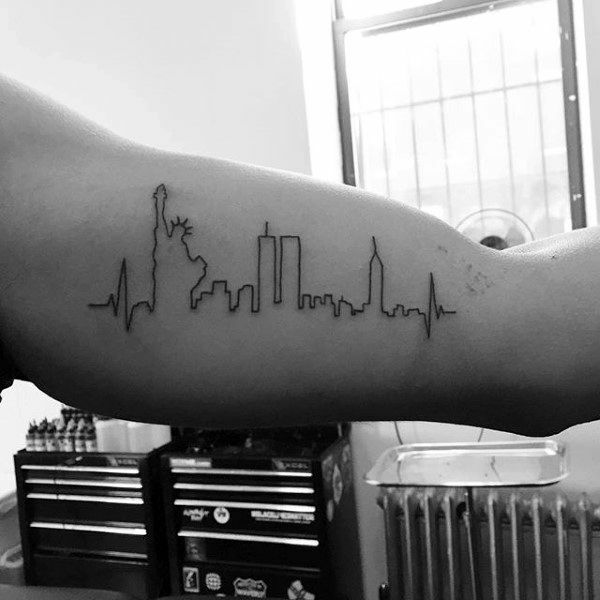 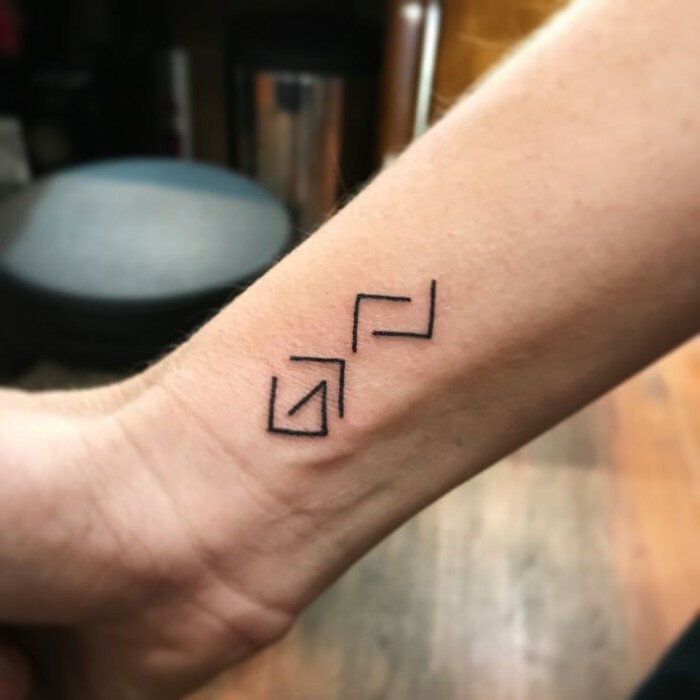 Besides, tiny tattoos can be just as meaningful as large ones – often, a single symbol can convey a lot more than a large, complex design. 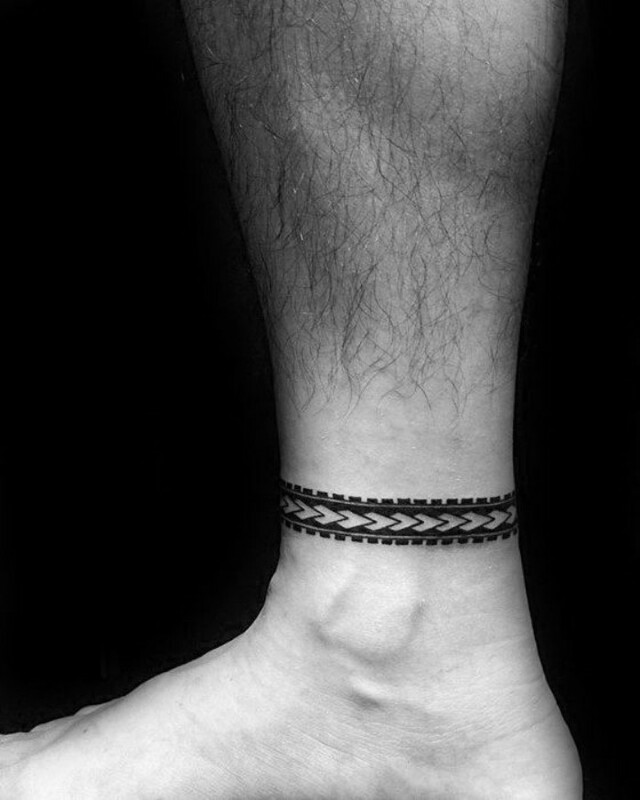 Some people erroneously believe that little motifs are better suited for women, but that couldn’t be further from the truth! 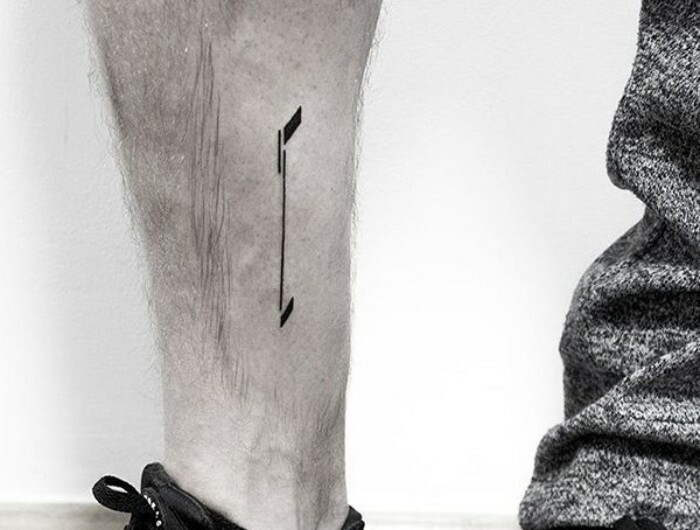 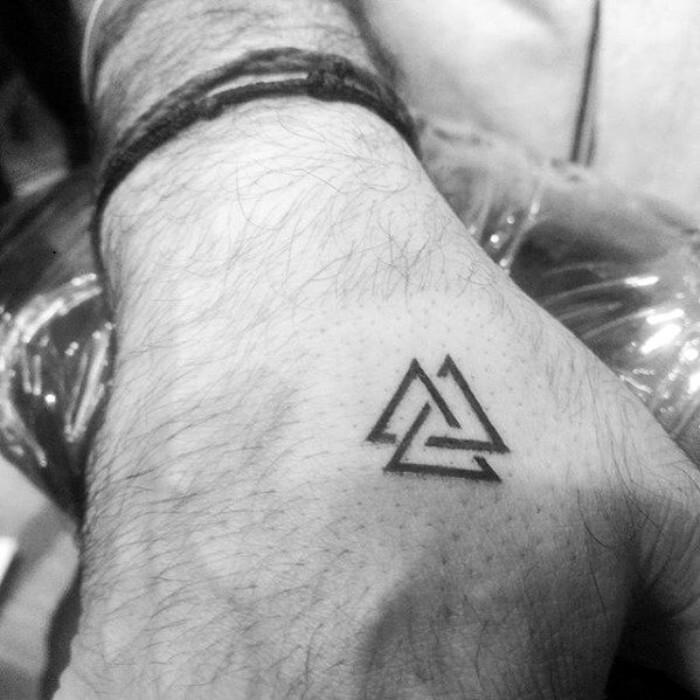 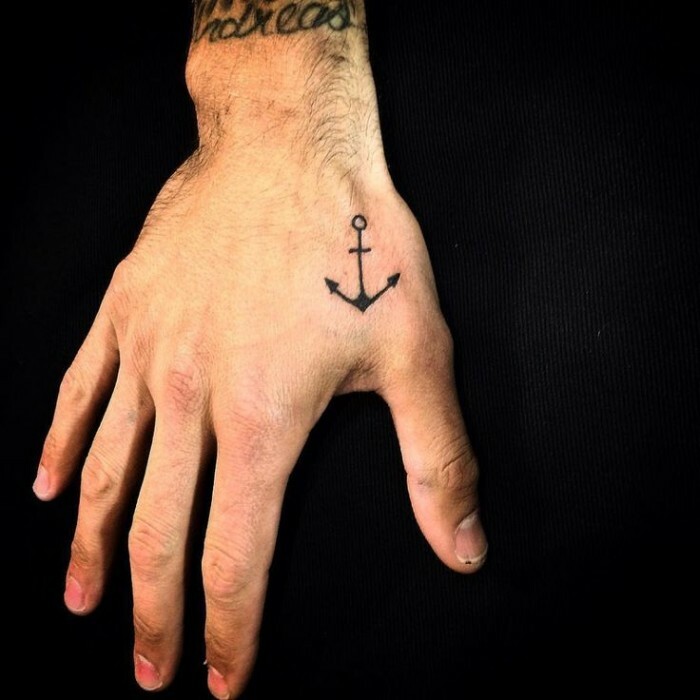 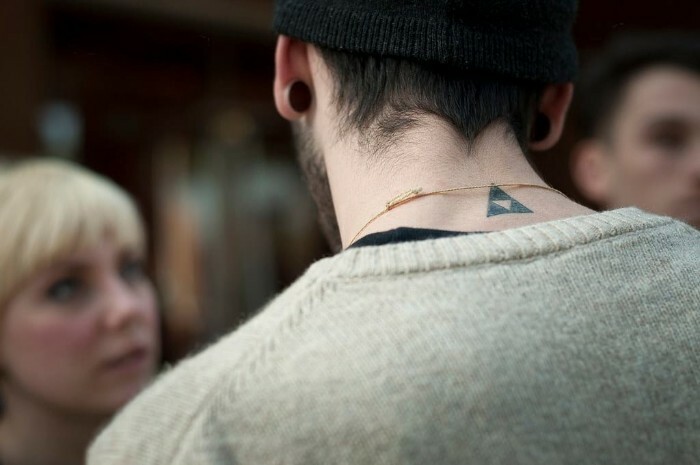 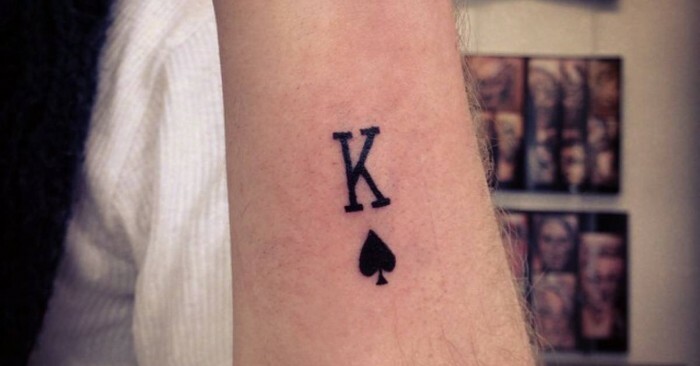 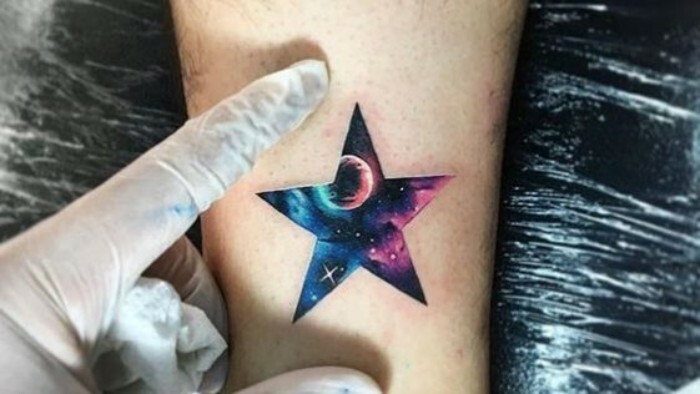 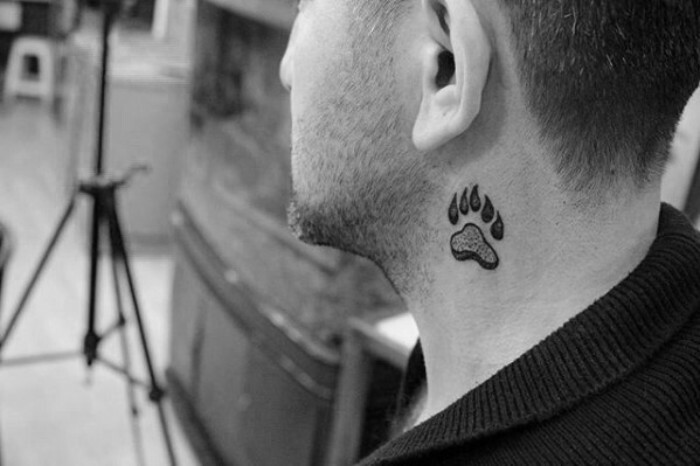 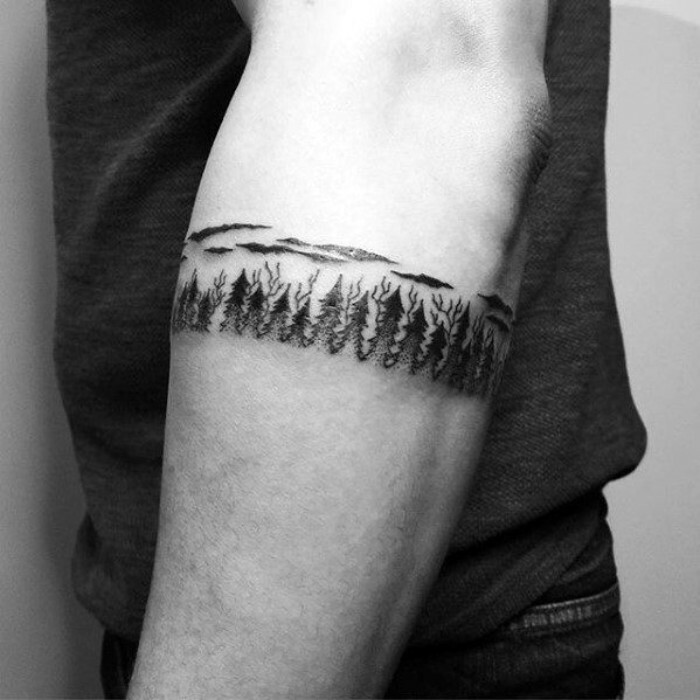 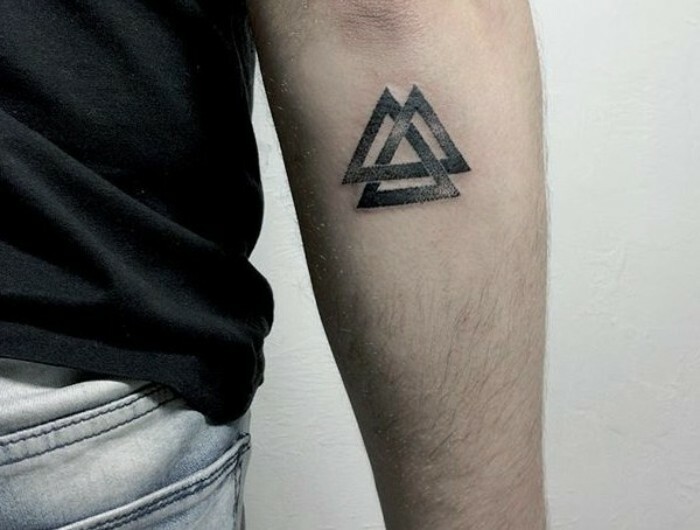 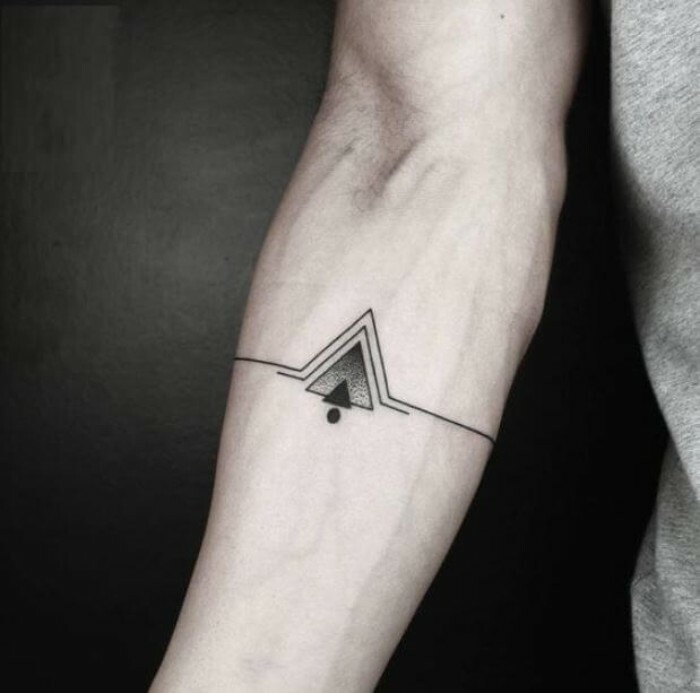 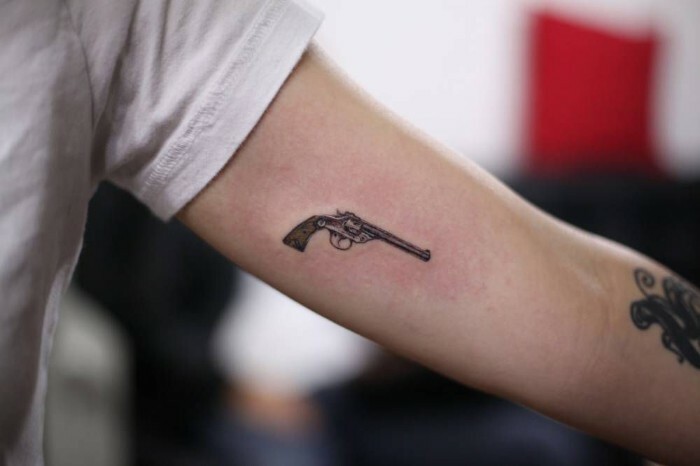 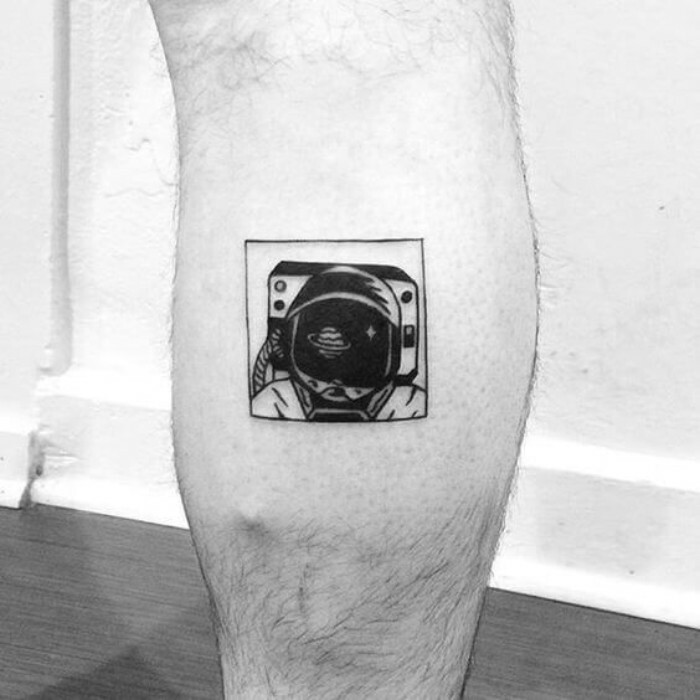 There are plenty of amazing and clever small tattoos for men, and in this article we have collected 80 designs to prove it! 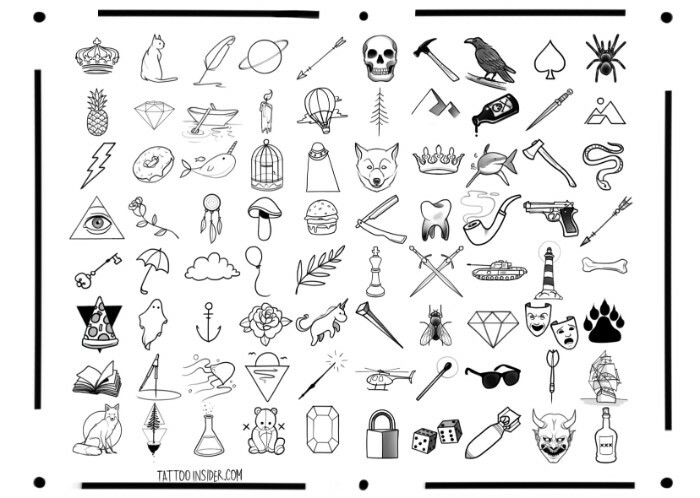 In addition to our lovely gallery, we have included explanations of the meanings behind some of the most popular small tattoos, as well as several template sheets with loads of ideas! 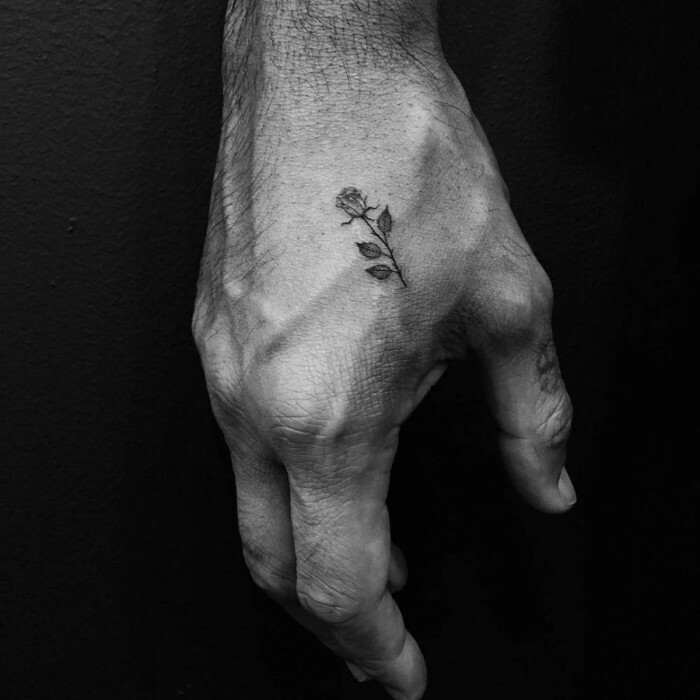 So, without further ado – let’s get started! 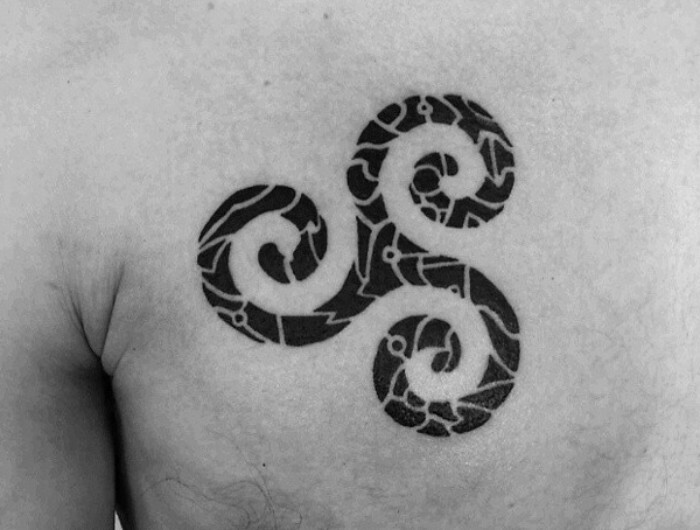 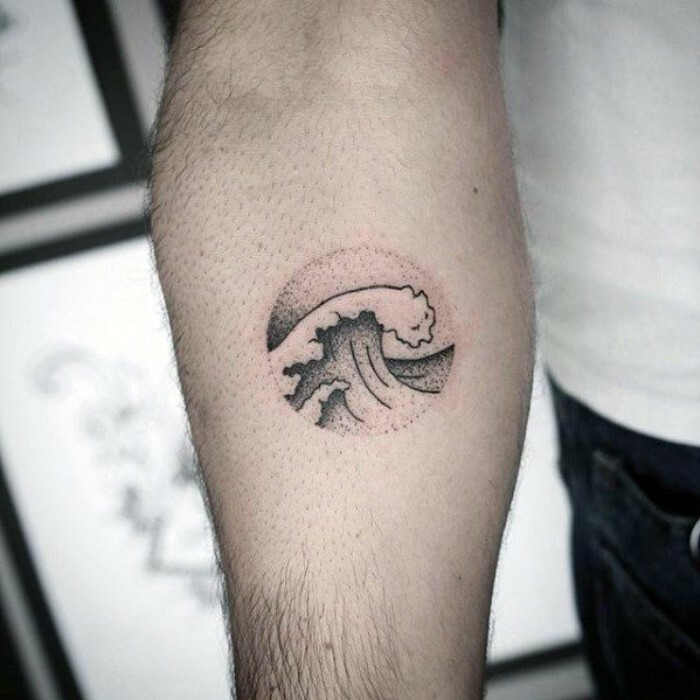 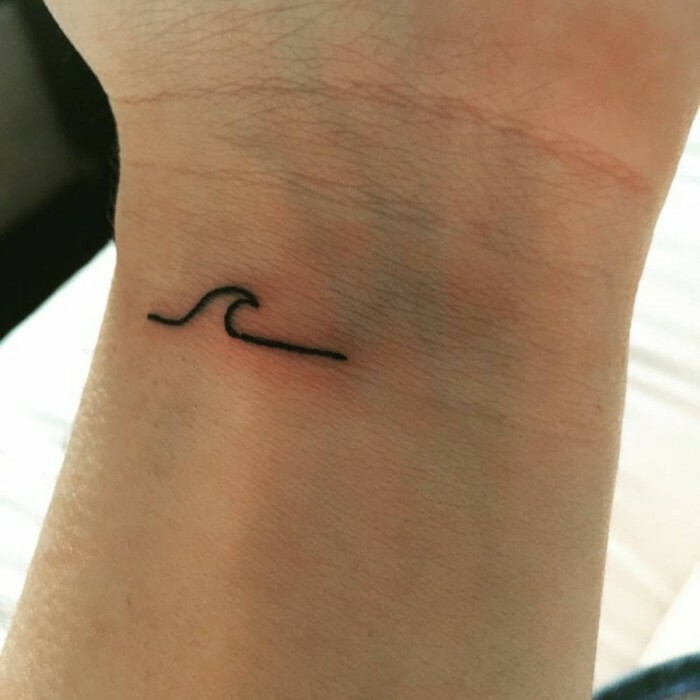 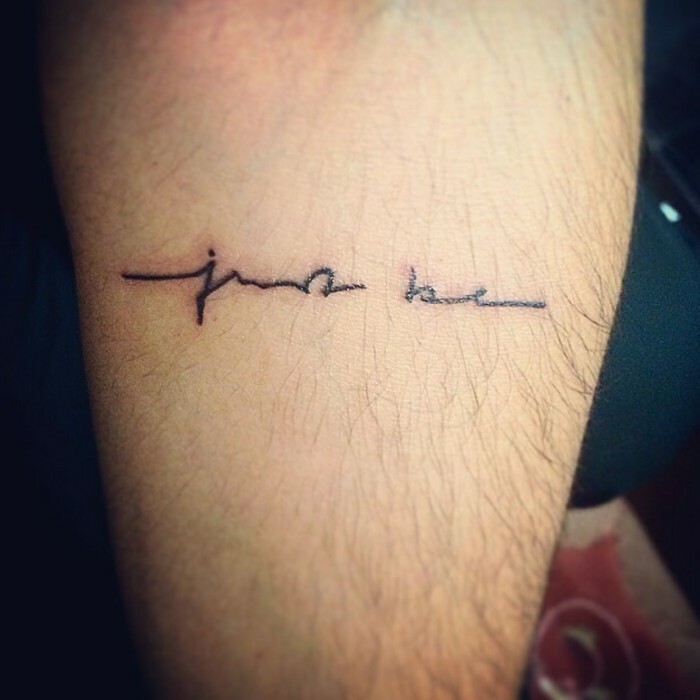 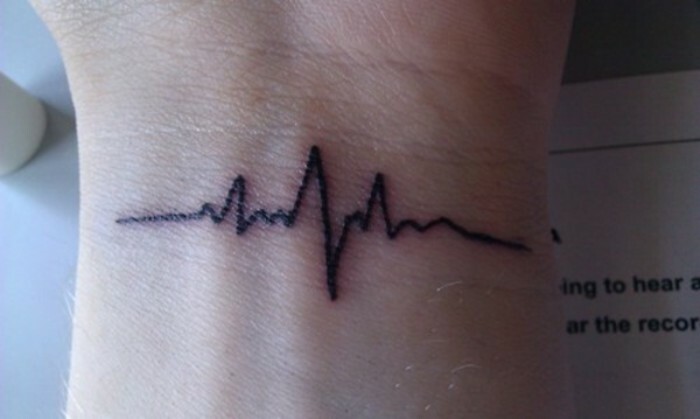 A miniature version of Hokusai’s wave – one of the coolest small tattoos for men we’ve seen so far! 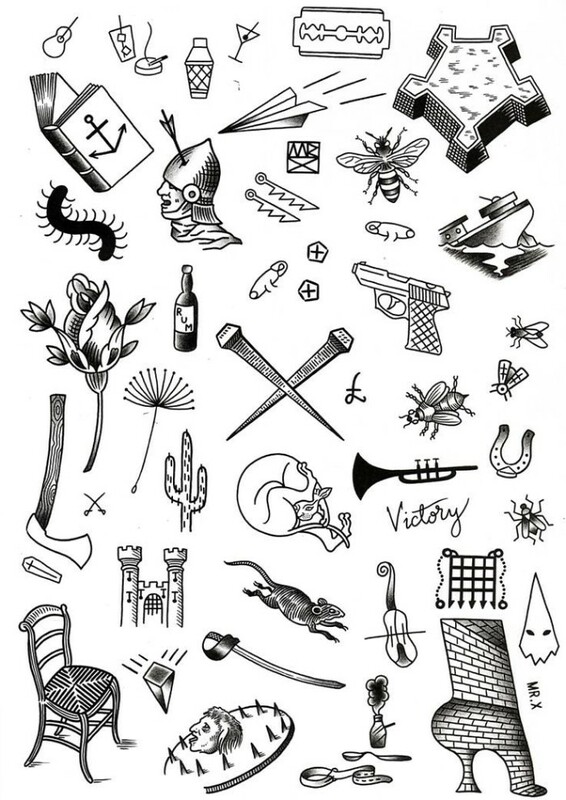 If you are having trouble deciding what kind of tattoo to get, it might be helpful to make a list of all the things you feel strongly about. 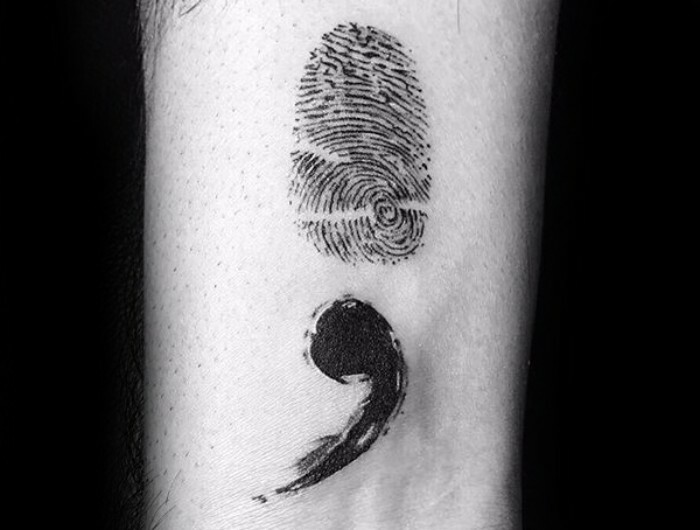 This can include your religion, a cause you support, a person you love dearly, a place, or a favorite quote from a book or a movie. 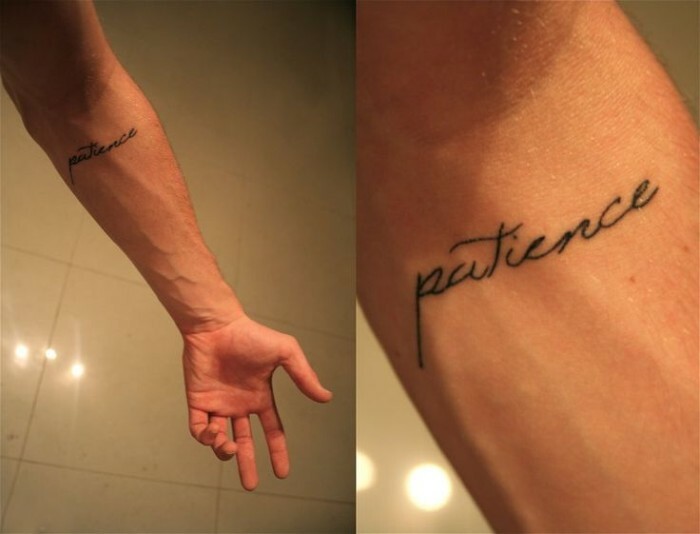 Once your list is complete, ask yourself which of these things best describes you. 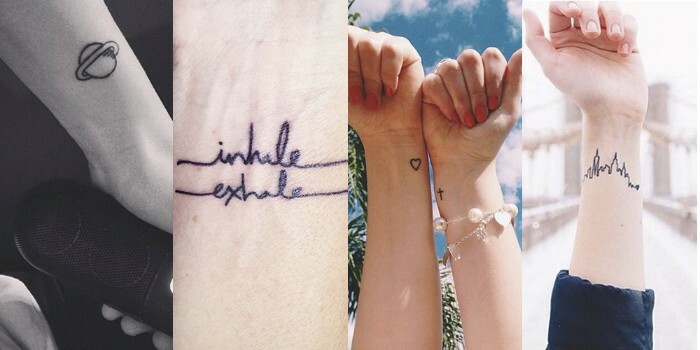 Which one would you like to wear for the rest of your life? 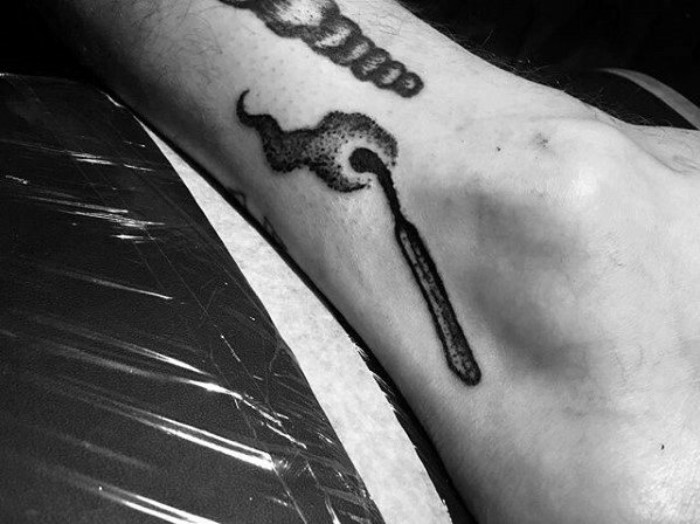 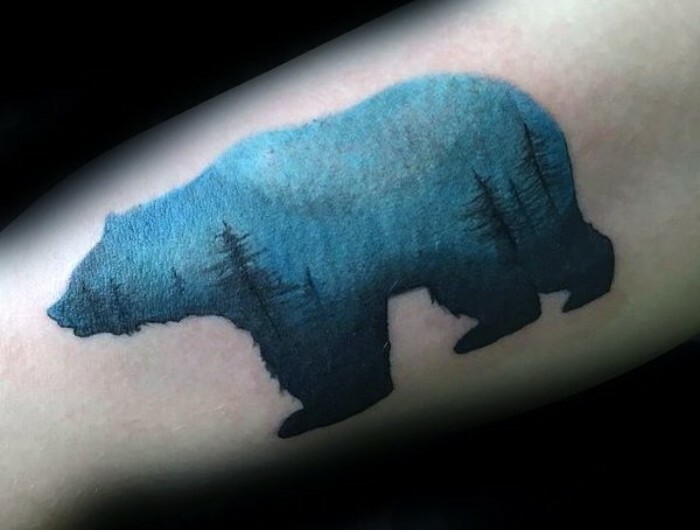 Although many people have a spontaneous approach to tattoos, getting one should by no means be treated lightly! 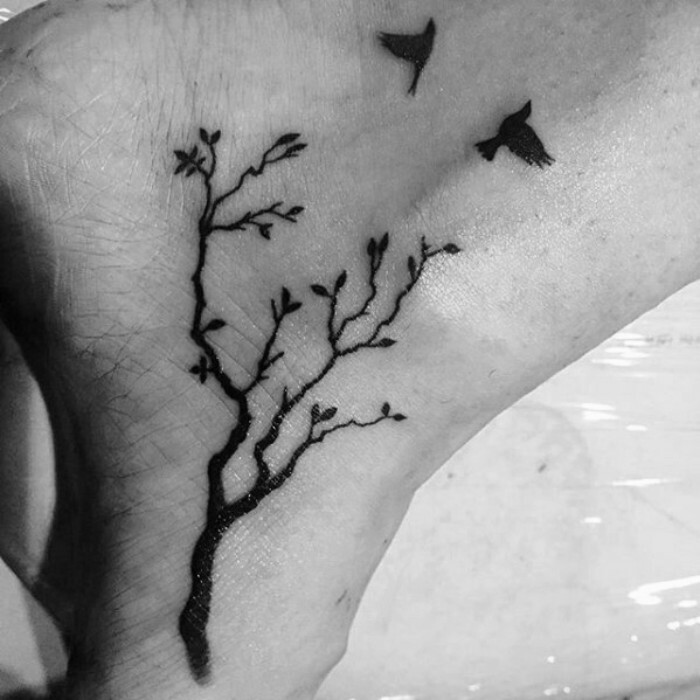 Once you decide on a design, it’s time to choose where on your body you’d like your tattoo to be. 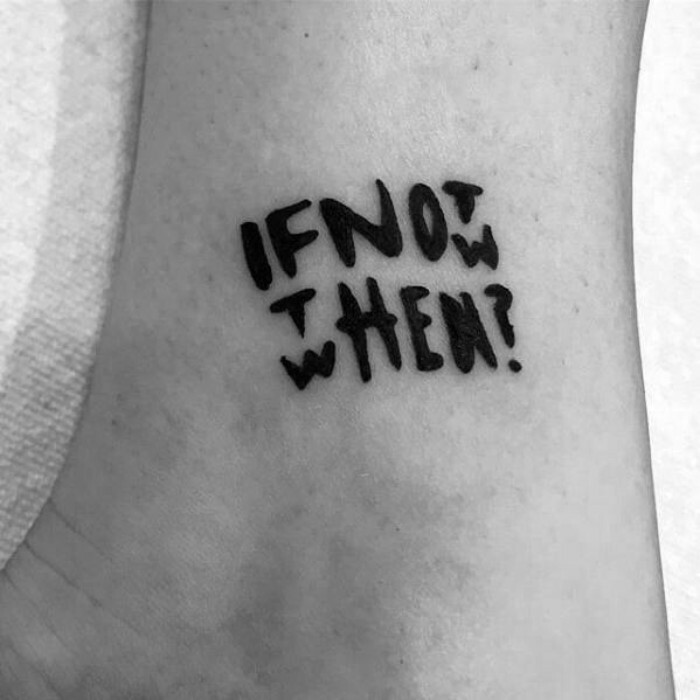 This too is an important choice. 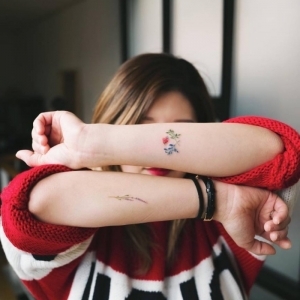 Although employers are getting more and more open-minded with each year, there are still companies who frown upon inked up candidates. 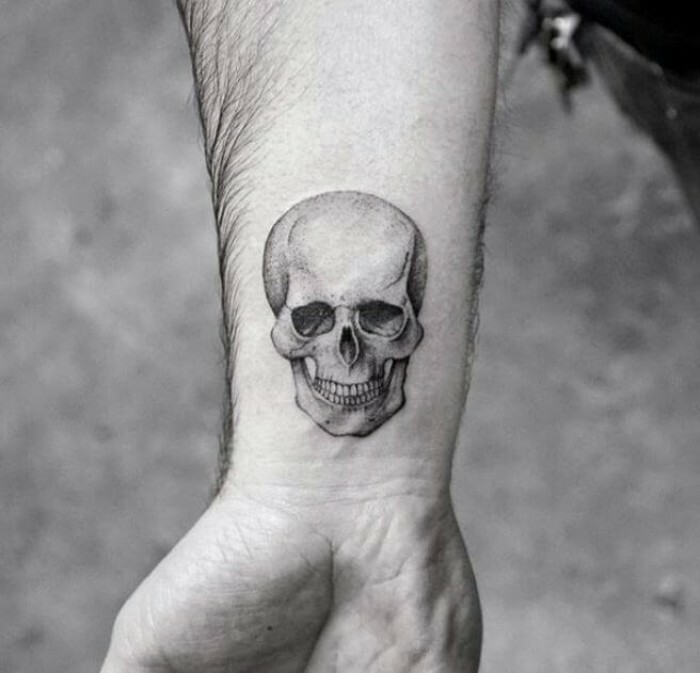 If you plan on pursuing a career in business, law, academia or the like, it’s advisable to avoid tattooing visible areas of your body and head, such as the fingers and top of your hands, and your neck and face. 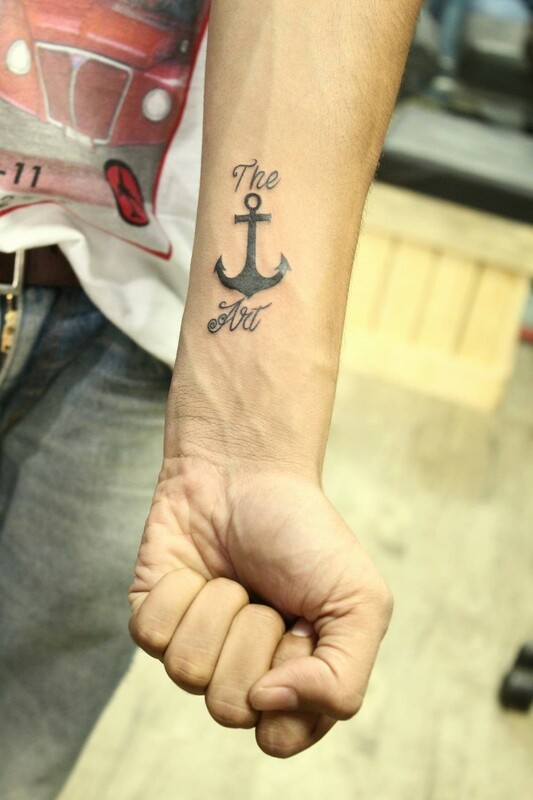 Inking your ankles, wrists, and lower arms is an excellent choice, but many people also go for the torso (e.g. 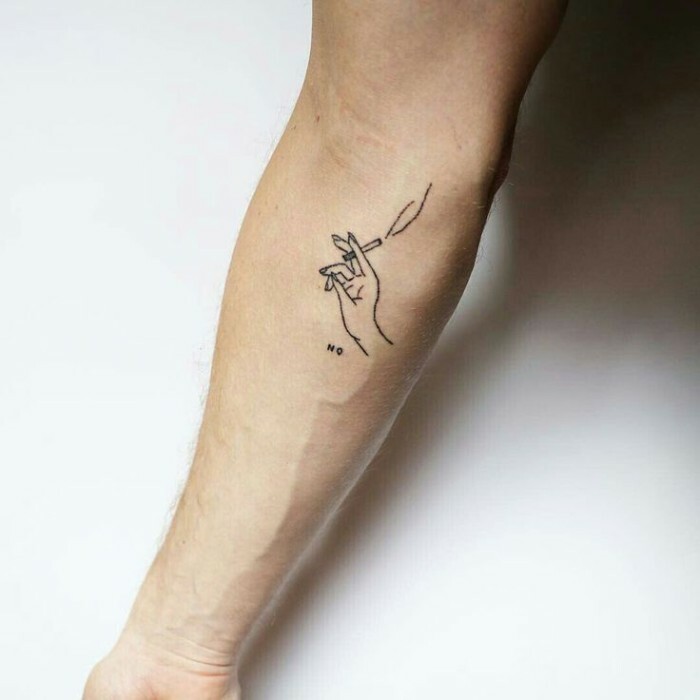 near the ribs or chest), thighs, or lower legs. 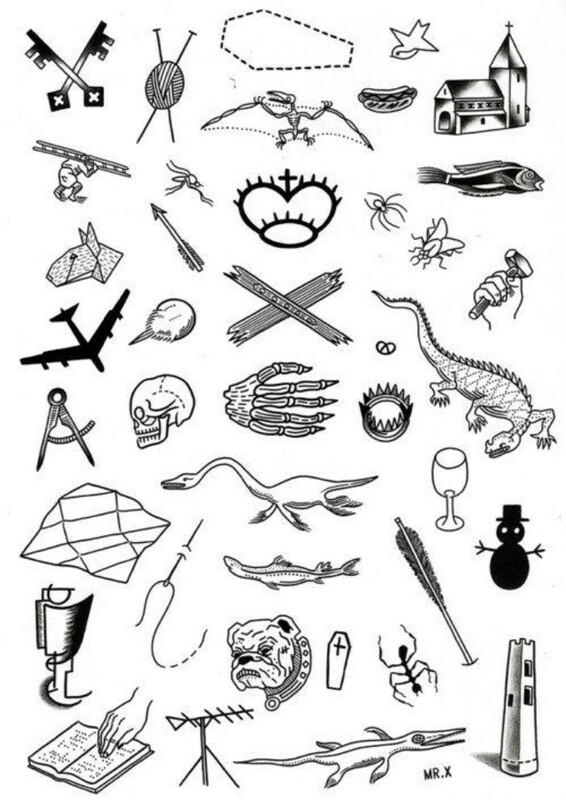 All of these can be easily hidden if need be. 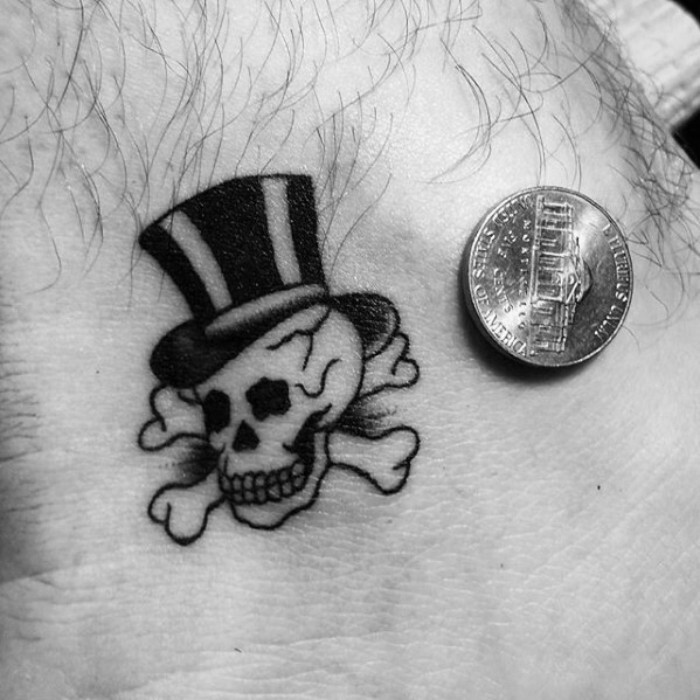 In the old days tattoos were something reserved for outcasts and misfits. 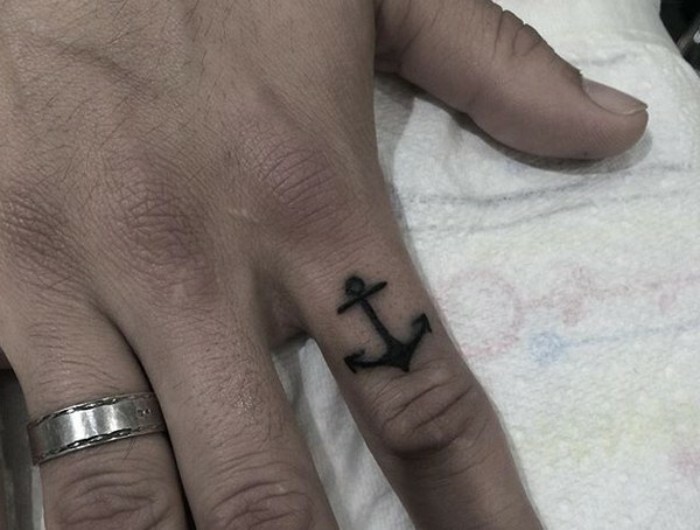 Apart from sailors, bikers and prisoners, not many people dared to get one, let alone more. 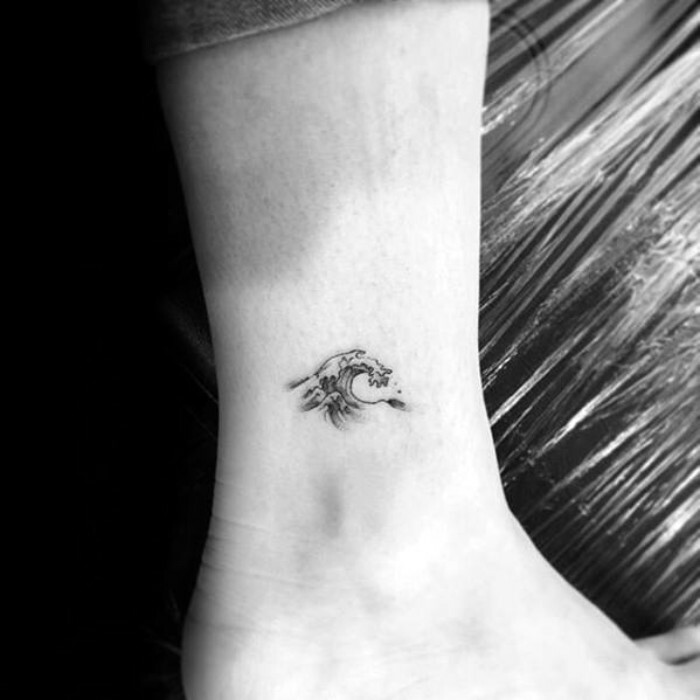 Therefore, classic tattoo designs were often rough and manly, signifying concepts such as bravery (lions, eagles), strength (pumas, sharks), and overcoming death (skulls). 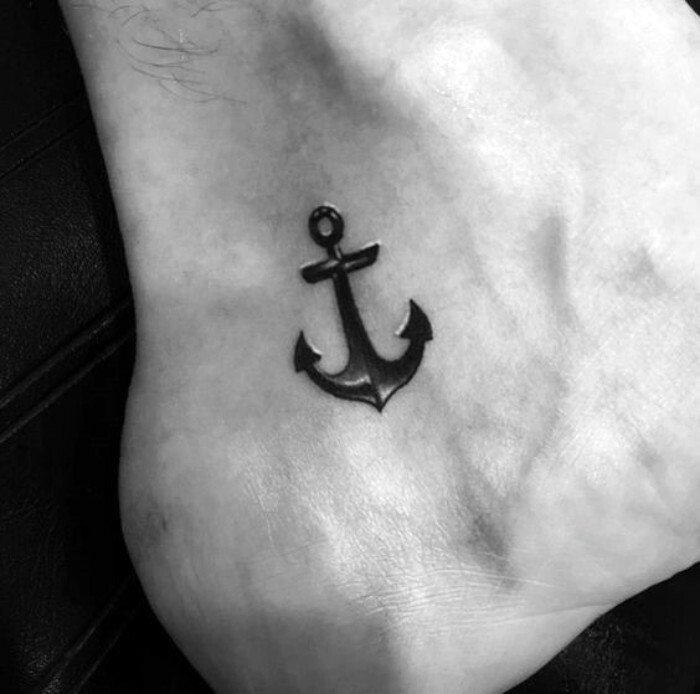 The more romantic tattoo aficianados got inked up with the names of their sweethearts or moms, while the superstitious chose motifs that were believed to have protective properties (anchors) and to ward off evil spirits (snakes, scorpions). 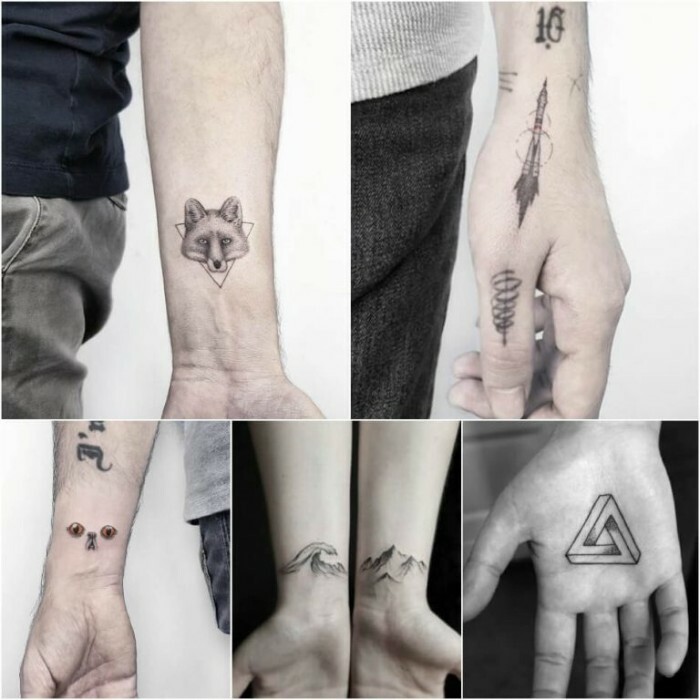 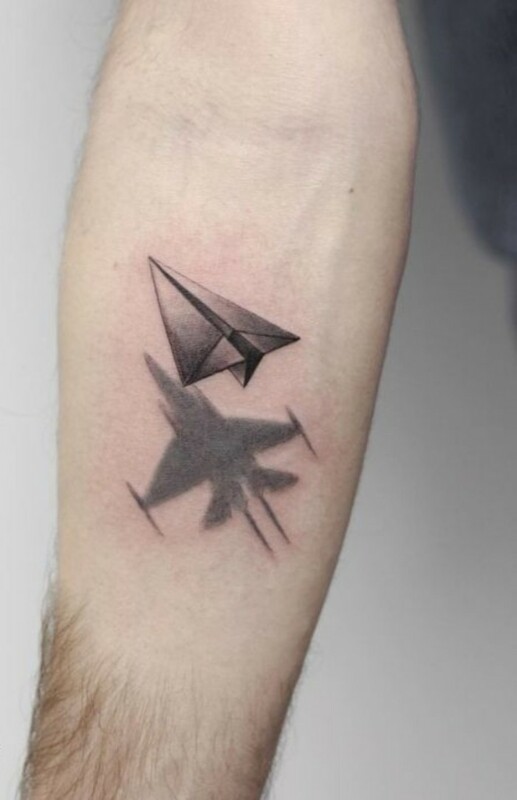 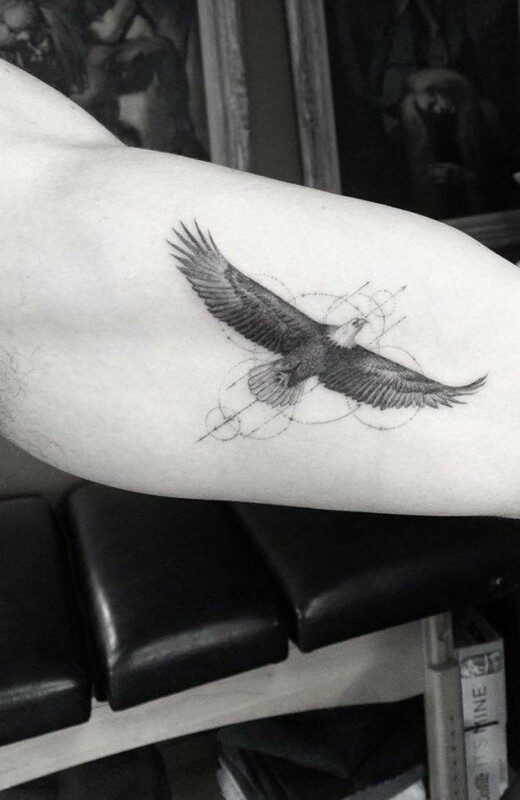 Nowadays there is a lot more variety when it comes to tattoo designs and their symbolism. 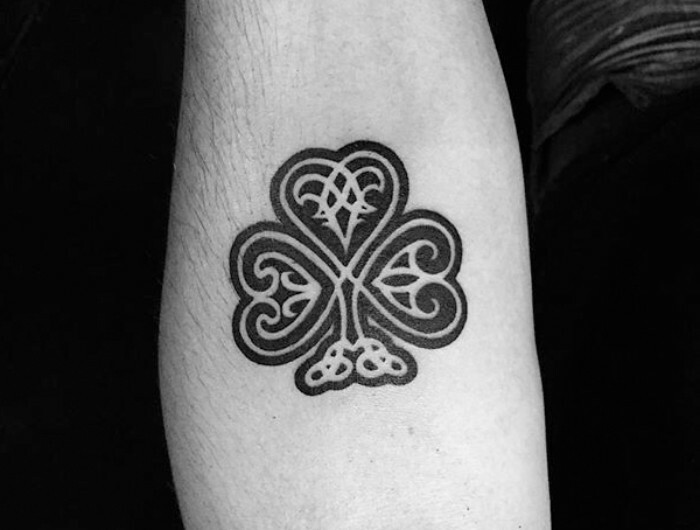 While classic motifs still pop up every now and then, they are merely a small fraction in a wide sea of available options. 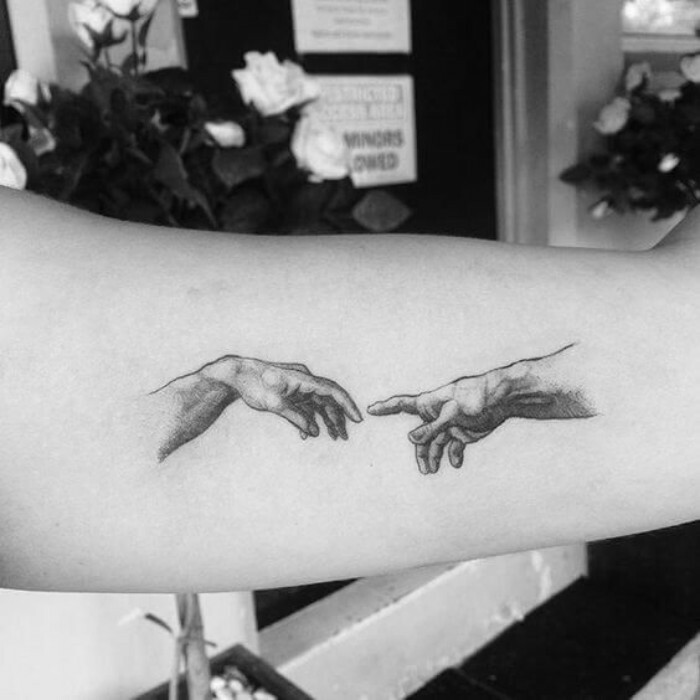 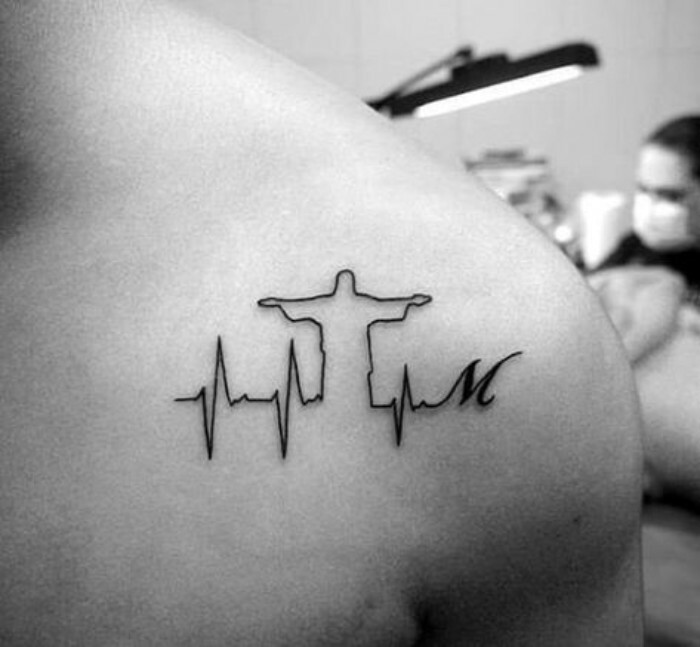 Tattoos with religious connotations, for example, have been growing more and more popular in recent years. 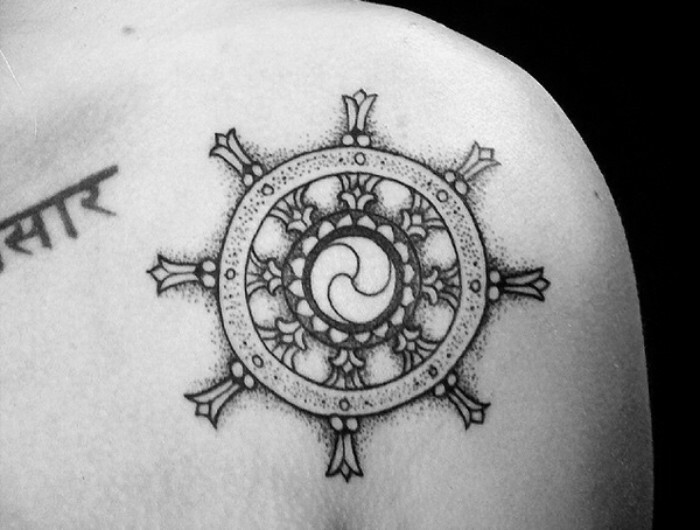 Elements inspired by Buddhism, Taoism, and Judaism frequently appear on the bodies of celebrities and ordinary folk alike. 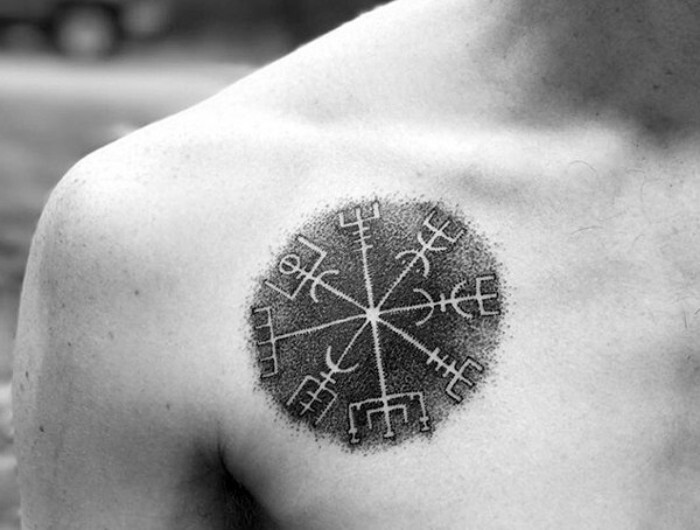 Designs referencing folklore are also a big hit, especially those alluding to Nordic and Celtic legends. 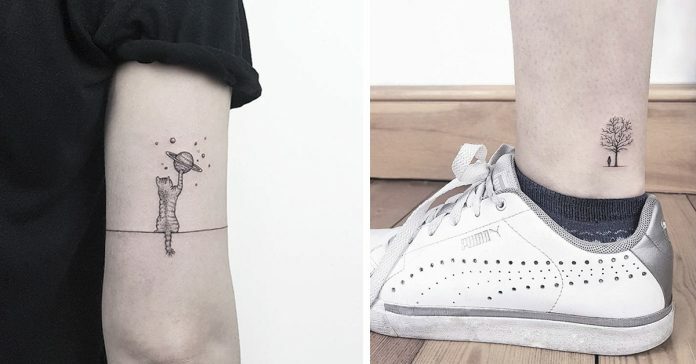 And now it’s time to enjoy our small tattoos for men gallery! 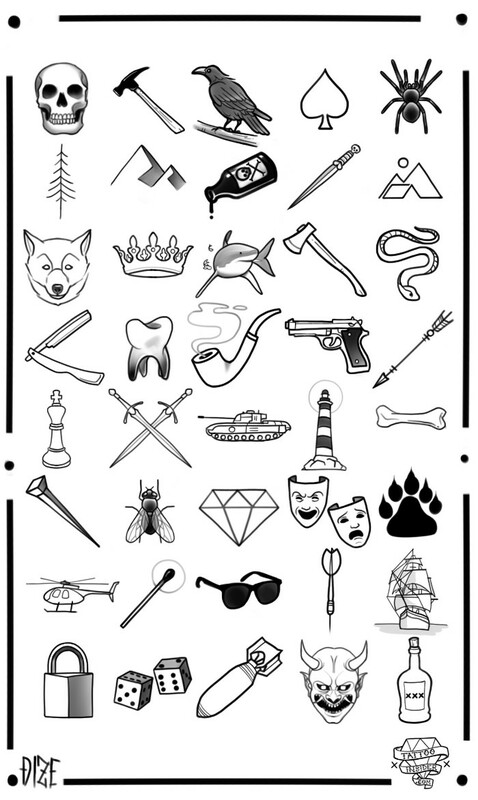 You will find 80 amazing suggestions, plus lots of info on meaning and symbolism. 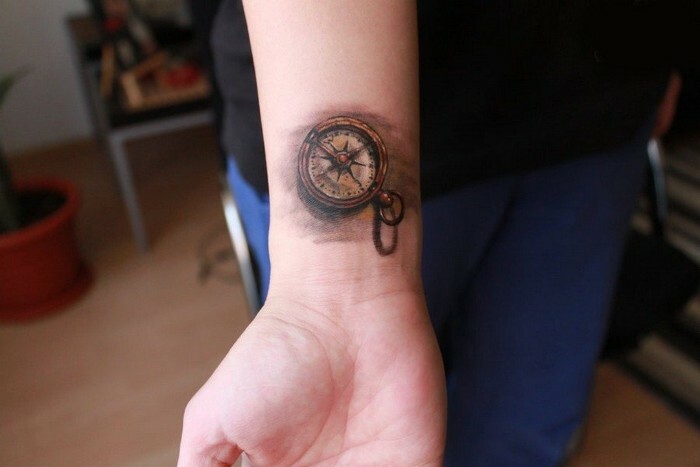 Have fun, and don’t forget to check out our Lifestyle Section for more tattoo and body art ideas! 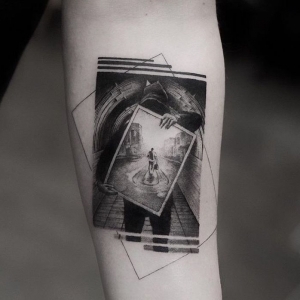 Isn’t this clever design cool? 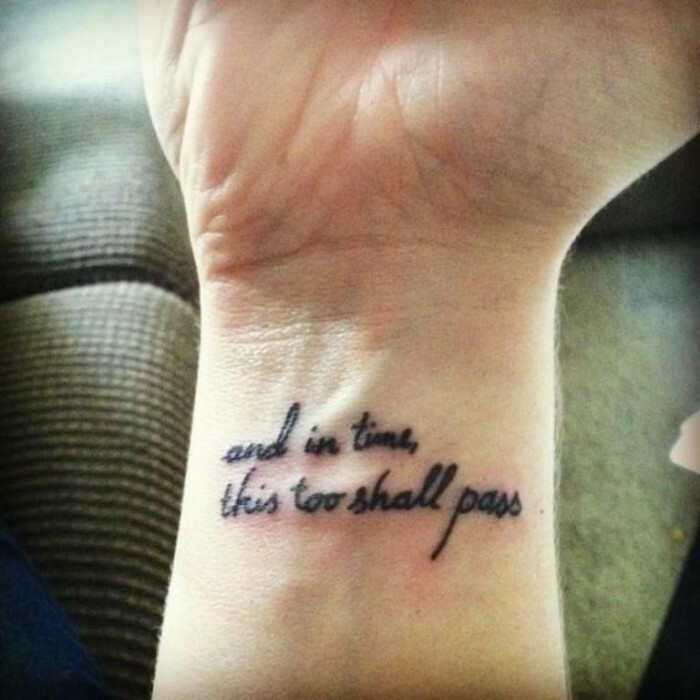 Good things come to those who wait – sometimes it’s good to have a reminder. 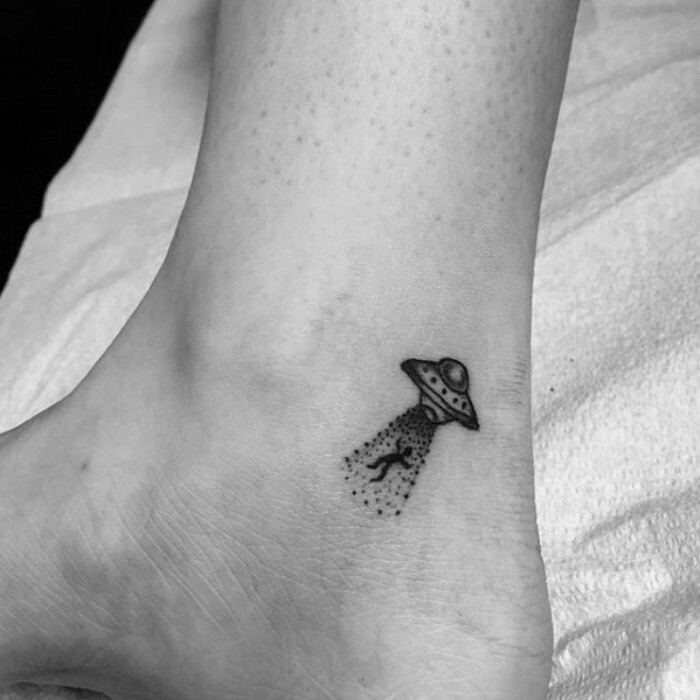 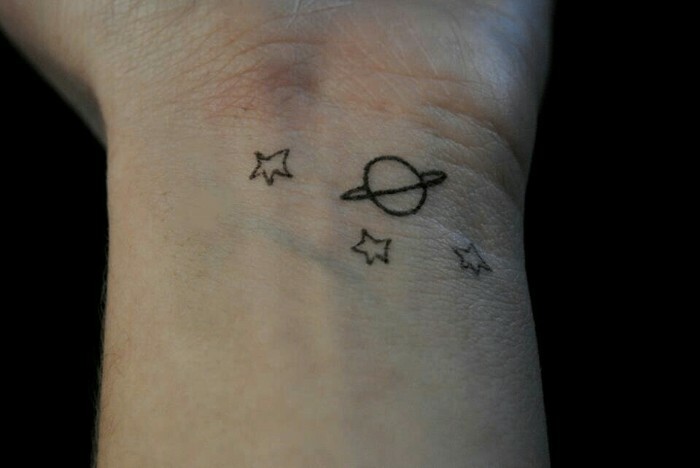 We love this cute and creative alien abduction tat! 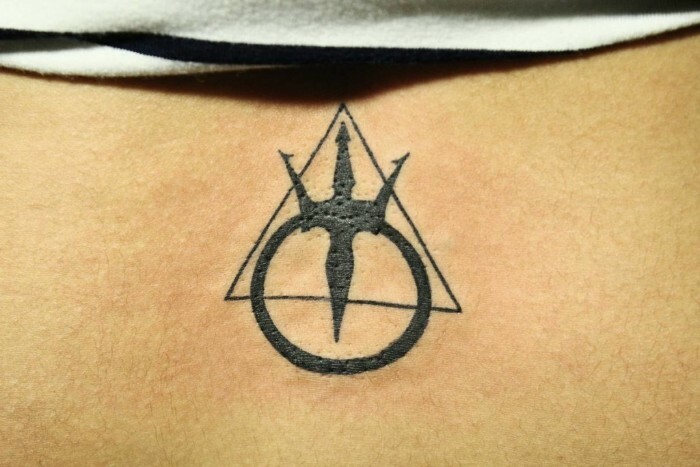 The trident of Poseidon is another very popular symbol, which has been appearing in tattoos more and more often lately. 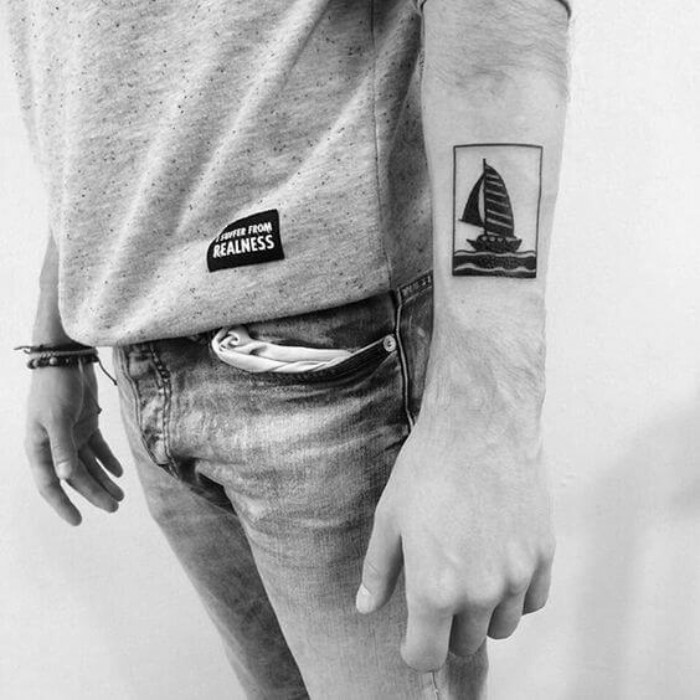 In Ancient Greece, Poseidon was the god of the sea and storms. 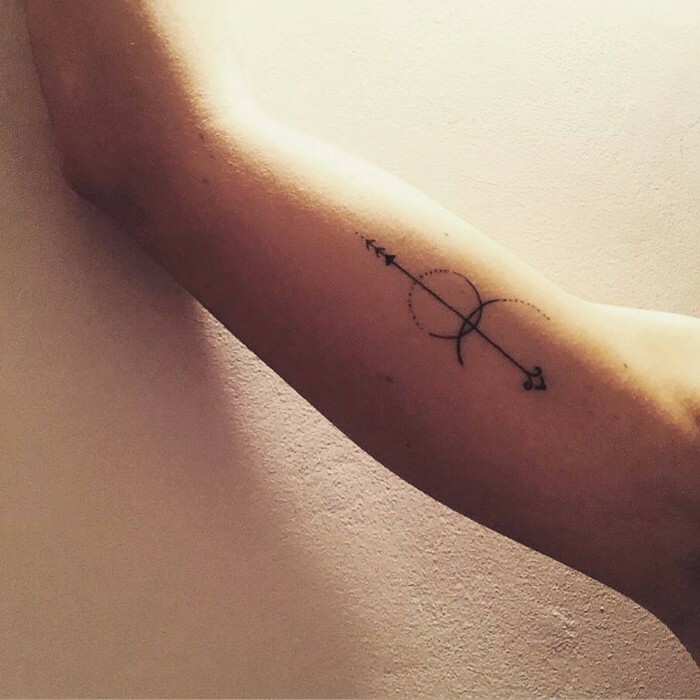 His trident represents strength and endurance.